TERRITORIES OF THE ANTHROPOCENE? NEOLIBERALISM AND INDIGENOUS AUTONOMIES. Law & Society Association Annual Meetings, Minneapolis, Minnesota, United States. International Studies Association, Toronto, Ontario, Canada. Law and Society Association Annual Meetings, Boston, Massachusetts, United States. (with Joseph F. Turcotte). 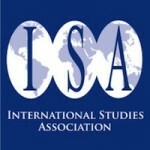 International Studies Association, San Francisco, California, United States. (with Marc Griebel). 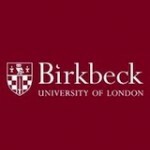 Law, Culture and Humanities Association, Birkbeck College, London, United Kingdom. Executive Session, American Anthropological Association, San Francisco, California, United States. American Anthropological Association Meetings, Montreal, Quebec, Canada. Law and Society Association Annual Meetings, Waikiki, Hawaii, United States. Law, Culture and Humanities Conference, Texas Wesleyan University School of Law, Forth Worth, Texas, United States. Society for Applied Anthropology, Merida, Mexico.